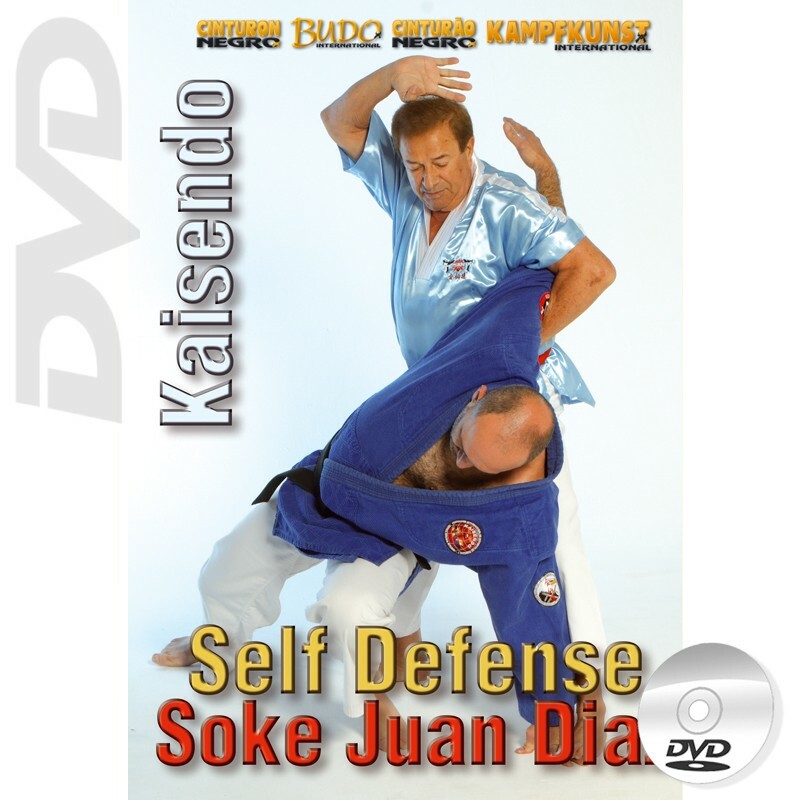 This work, personally carried out by Soke Juan Díaz, founder of the style, focuses on the technical application to self-defense, emphasizing the concept of constant fluidity, which is the very essence of Kaisendo. It's the continued application of a series of techniques in the case of an aggression, in order to neutralize the attack and respond immediately with a counterattack, and if the adversary reacts, to keep on applying the techniques in a chained manner. Kaisendo is based on four traditional Martial Arts such as Judo, Jiu-Jitsu, Aikido and Karate. Karate-Jutsu is essentially 80% of the techniques in KaisenDo, which are completed with techniques of Aiki-Ju-Jutsu or Ju-Jutsu to conclude the defense. GM Juan Díaz presents us a wide arsenal of defense techniques against fist and kick attacks, different types of grabs, stick aggressions and threats and attacks with bladed weapons. An excellent system in constant evolution due to its open structure, and with capacity to adapt to all currents and trends in the field of Martial Arts. 45 min.